Travel to the biodiverse Osa Peninsula located on Costa Rica’s Pacific Coast. Here, work side by side with local researchers on an in-water turtle monitoring program. 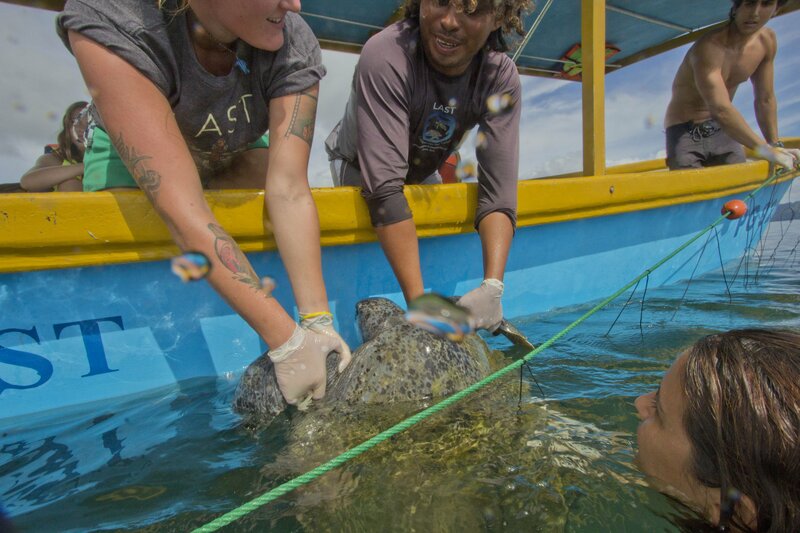 Accompany project staff in research boats to catch, study and release sea turtles. Next, travel to the small town of Providencia located in the Cerro de la Muerte cloud forest and known for its sustainable lifestyle, warm hospitality and amazing vistas. Here, experience sustainable living as you participate in community activities like pulping fruit, making cheese or crushing sugar cane. You’ll also hike in the cloud forest and have a chance to spot the rare Quetzal. On your way back to Costa Rica’s central valley, stop to tour a coffee and berry farm. Read the full Wilds of Costa Rica itinerary. Take a boat tour through the largest mangrove reserve in Latin America, snorkel off Cano Island and hike through Corcovado National Park. Travel to the Osa Peninsula and volunteer at an in-water turtle monitoring project. Work with local scientists to catch, study and release sea turtles and participate in local mangrove reforestation. As you head to the cloud forest, stop in a local Borucan community and participate in a mask making workshop. Experience sustainable living in the small town of Providencia. Hike in the lush cloud forest and participate in community activities like pulping fruit, making cheese or learning from local artisans. Tour a sustainable berry and coffee farm.